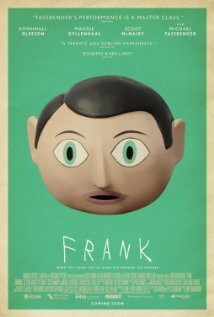 A surprisingly good film about a young man chasing his dream against what seems like a fight for power over the enigmatic centre-point, Frank. Jon (Gleeson) is a wannabe musician, who gets a chance to perform in his local town with the band Soronprfbs after their keyboard player attempts to drown himself. After the show he is invited to become a full time member of the band and travels to Ireland with them. While out there, he learns about the strange lead singer Frank (Fassbender) who wears a fake head at all times, and his close friend, the erratic livewire Clara (Gyllenhaal). The film generally follows the relationship between Jon and Frank and how Jon wishes to make Soronprfbs a success, much to the dismay of Clara. Given the fact that so much seems to goes awry in this movie, it is surprisingly feel good – I guess that is the essence of black comedy, something I feel us Brits have always done the best! If I was to explain it I would say it is a film about unrestricted creativity, with an undercurrent of insanity, death and greed. You can tell from the get-go that the writers know what they’re on about when it comes to music, whether that be writing songs or performing with an unsigned band. Credit has to go to the creators of Frank (the character), who has an insanely watchable quality because while you never really know what he’s going to do next, he also seems the most normal person in the group, especially in his early dialogue with Jon. There are a few moments in this film that seem quite fantastical but I guess that’s made to add to the general wackiness that you get when your lead character wears a papier-mâché head all the time. The battle for control that breaks out between Jon and clara was also interesting to watch, as there is times in the film where you’re not sure if Jon is actually the good guy or whether he’s bringing trouble to what was a quiet(ish) group just minding their own business – not too different to the questions asked in Gleeson’s recent film, Ex-Machina! It’s quite refreshing for a small time, independent British film to be able to attract such a strong cast, with people like Gyllenhaal, Fassbender and Gleeson all swapping blockbusters for critic’s choice style films. It has to be said that Michael Fassbender is quite remarkable in, and as, Frank. It’s less what he says (although he does sing the songs very well!) and more how he acts – his body movements are completely on point! While he is in the head it is like an animated character, and I didn’t really think much of his performance until the end, when the head is taken off and you see him as a man, Fassbender, and the way he acts still doesn’t change. It’s at that point when he changes from enigmatic man of wonder, to a shy and child. It is amazing, and out of all the films I’ve seen from last year it has to be one of the best performances. It is also strong performances by Gleeson and particularly Gyllenhaal as the controlling, almost psychopathic Clara. Like many independent British films, the director has gone for a realistic feel for Frank and I think Leonard Abrahamson has done a good job here. There’s not that much to say about it, the directing is beautiful in its simplicity, if you will. The locations do help with some of the shots, as the cabin is in a beautiful secluded area and Texas also looks sunny and generally happy. Some scenes did seem unrealistic but that might not be all Abrahamsons fault. This was a nice film to just chill out and watch. It’s not something that’ll necessarily excite the masses, but is still exciting in its own, wacky way! I think most people reading this will probably like this movie, so if you haven’t seen it yet then try it, you won’t be disappointed!